Opposition is mounting to the government’s plans to cut a special tax break for some expats, with employers, academic organisations and expat groups saying the proposal is damaging the country’s reputation and will seriously hurt many people financially. The government wants to cut the length of time that the 30% ruling covers from eight to five years and plans to implement the cut from January 2019, hitting thousands of people who had been told the tax break would last longer. So far over 22,000 people have signed a petition calling on the government to honour its commitments to the international community, over 5,000 have joined a Facebook page campaigning for a rethink and 2,400 have taken part in a survey by the International Community Advisory Panel which is quantifying the impact. The Dutch universities association VSNU told DutchNews.nl it is writing to junior finance minister Menno Snel urging him to rethink the plan, which will cut thousands of euros a year from expat academics’ income. In particular, the lack of a transition programme for people who suddenly lose the benefit has caused alarm, the spokesman said. ‘A professor here on a four-year contract will not be able to take a second four-year term if this goes through,’ he said. The impact of the decision is is so serious that it may affect companies’ willingness to bring high-powered people to the Netherlands, a senior manager at one multinational with a significant presence in the Netherlands told DutchNews.nl. ‘This is a political decision and it is a stupid one financially,’ he said. ‘In the end it will hurt the economy. Global companies that bring in expats also create many permanent jobs and careers for Dutch nationals. Jessica Piotrowski, spokeswoman for the United Expats in the Netherlands movement which has gathered over 5,000 supporters in a week, said many people were very surprised that the proposed five-year limit would apply to current beneficiaries. When the ruling was cut from 10 to eight years, there was a period of transition for current beneficiaries. Dutch trade union federation FNV, however, says the 30% ruling should be completely scrapped, arguing that even with the cut from eight to five years, the scheme will still cost taxpayers €670m. This is money which could be better spent on healthcare or education, FNV board member Tuur Elzinga said in an article on website Joop.nl. 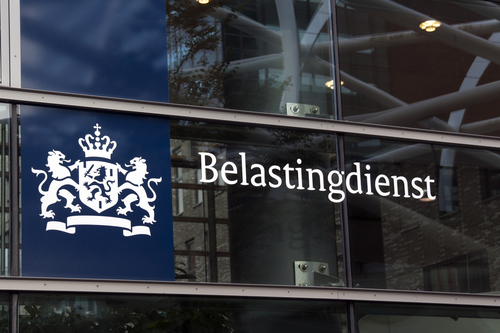 Parliament’s finance committee will discuss the government’s plan in The Hague on May 31.